Just wait until you see the little leprechaun on slide six! 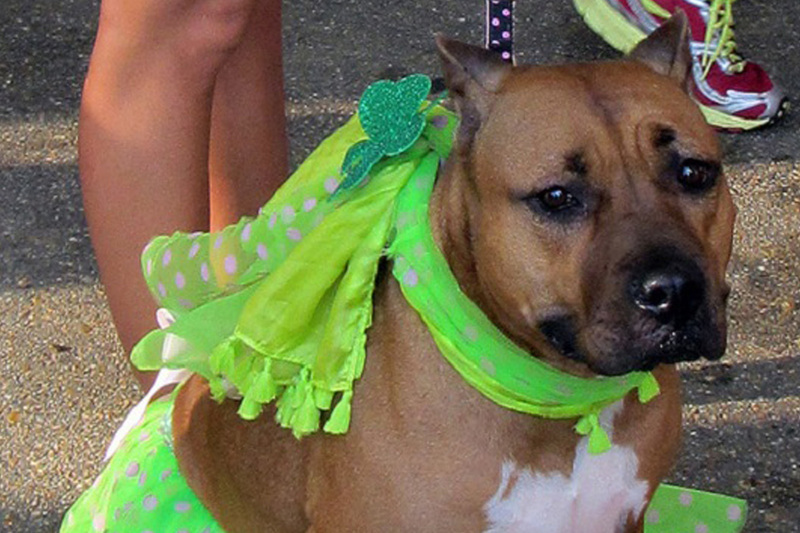 Mona the dog is looking her best in the green tutu while taking a trip down the streets of Portland. 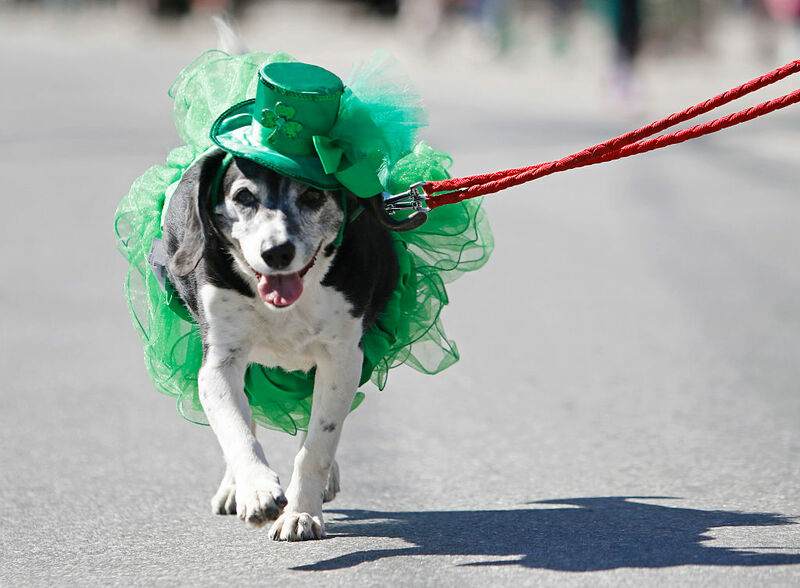 She was featured in the city’s 2016 St. Patrick’s Day parade and it’s pretty obvious why. Look at that smile! She’s the star of the show and she’s not shy about it. Guest appearances on talk shows are surely up next. We can’t wait for her one-on-one interview on Wake Up, Portland! Next up, a ferret who found the perfect hat. This is one lucky ferret. 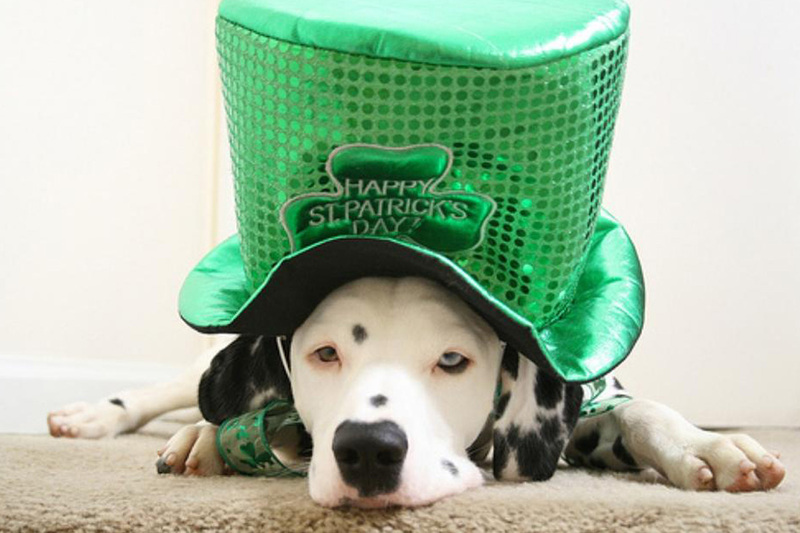 Holding a four leaf clover in its mouth, there is no stopping it on this magical holiday. It has put on its best hat and is ready for a lucky night out on the town. Of course, before heading out, this fashion shoot was necessary. New profile pic, anyone? This good looking ferret needs to prepare for all the likes. They’re coming and there’s no stopping them. All it can do is embrace the holiday love! The bartender had a few questions when this dog strolled up to the bar ready for a brew. After he swore he was 21-years-old in dog years, the bartender yielded the goods, filling up his glass. Not many animals are this willing to embrace their “party hardy” side like this chill lad right here. He knows he looks ridiculous, and that’s okay. After all, this is the one day of the year he gets to let his wild side loose! 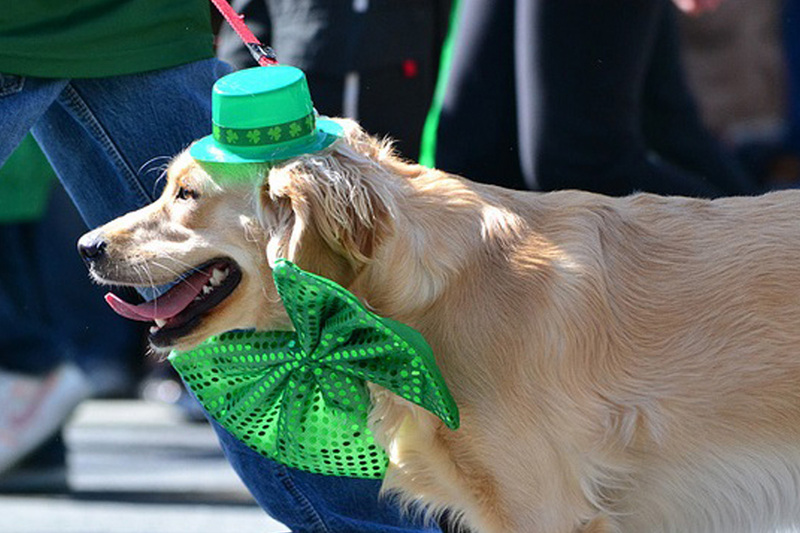 Here’s another celebratory pooch at a St. Patrick’s Day parade. 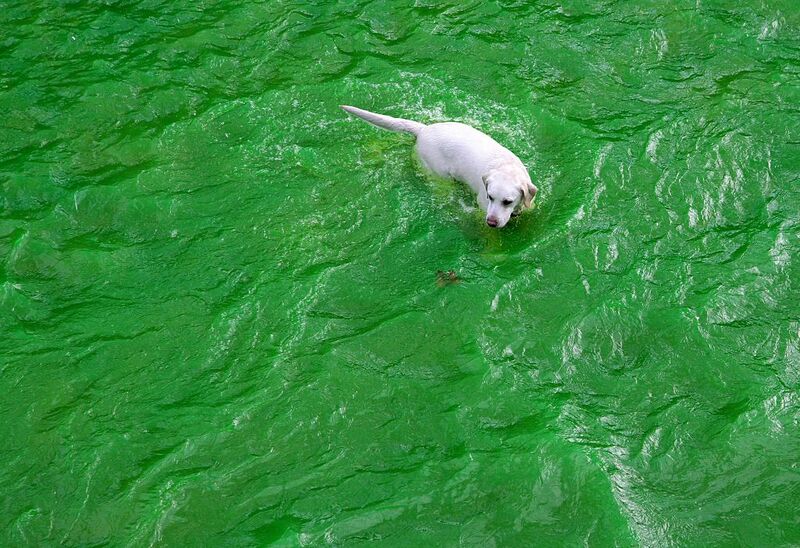 We don’t know what city or country this is in, but we do know this dog loves green. We just hope it doesn’t rain too hard. That costume doesn’t look rain-ready. Did anyone notice the dog in the background? It’s pretty festive too with a green lion’s mane. It has nothing on the star of this picture though, who is decked out in as much green as the festival would allow. A leprechaun kitty is up next to steal your heart! Cats, unlike dogs, tend to know when their humans are trying to embarrass them. 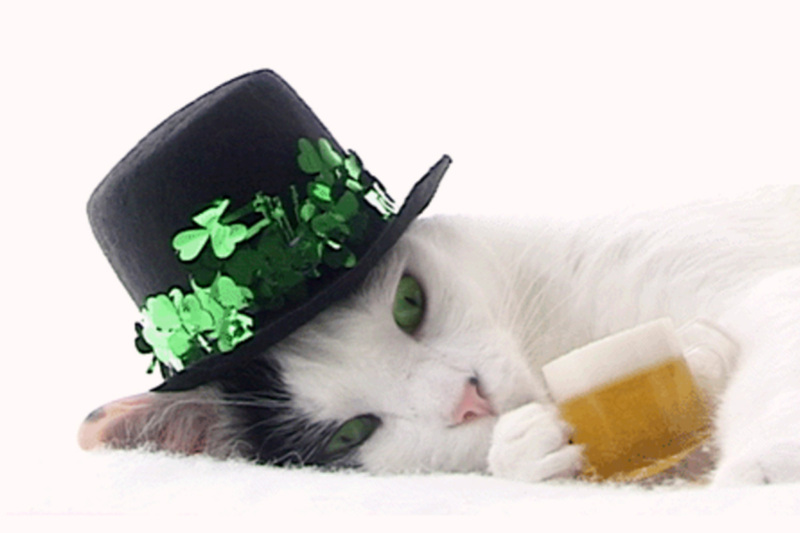 We look at this cat and can tell it’s not enjoying St. Patrick’s Day. Although, we do have another theory. This cat, dressed as a leprechaun, just watched someone or something, steal its gold. 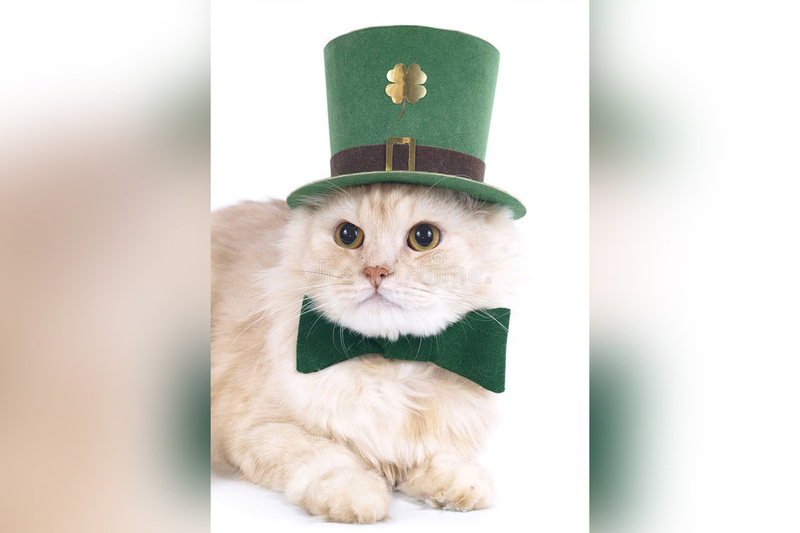 Leprechauns don’t like when you steal their gold, so if it was you, you should return it before this Irish feline finds you. 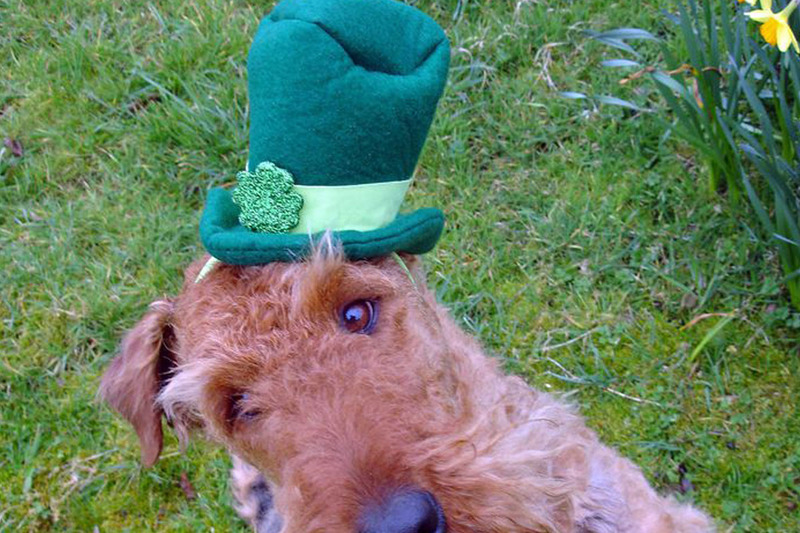 This proper English dog isn’t sure what to make of its St. Patrick’s Day hat. Obviously, his owner thought that hat was a great idea. This pooch just isn’t so sure. As long as his human gives up a few good treats, however, we imagine everything will be okay. It’s hard to see from this shot, but this pup is on his hind legs, posing for the camera. He’s also looking to his right, exactly where the owner is holding a tasty snack. 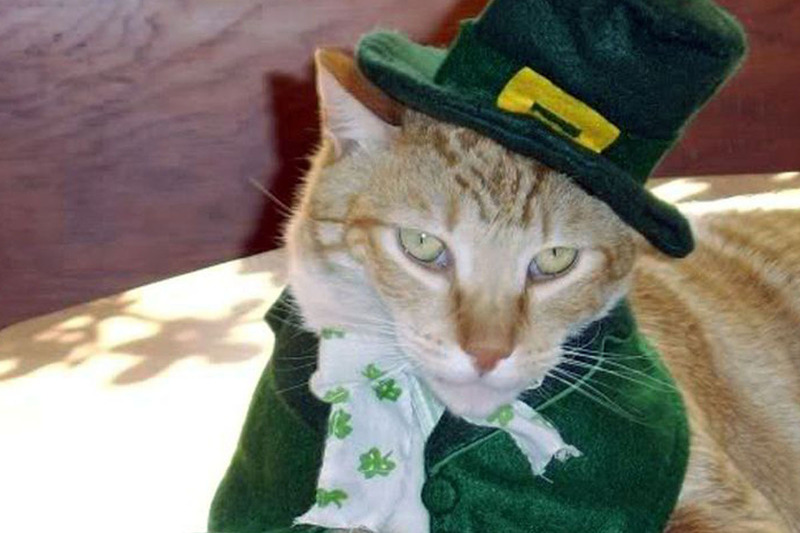 Unlike our leprechaun cat, this festive feline is just fine with being dressed up by its owner. 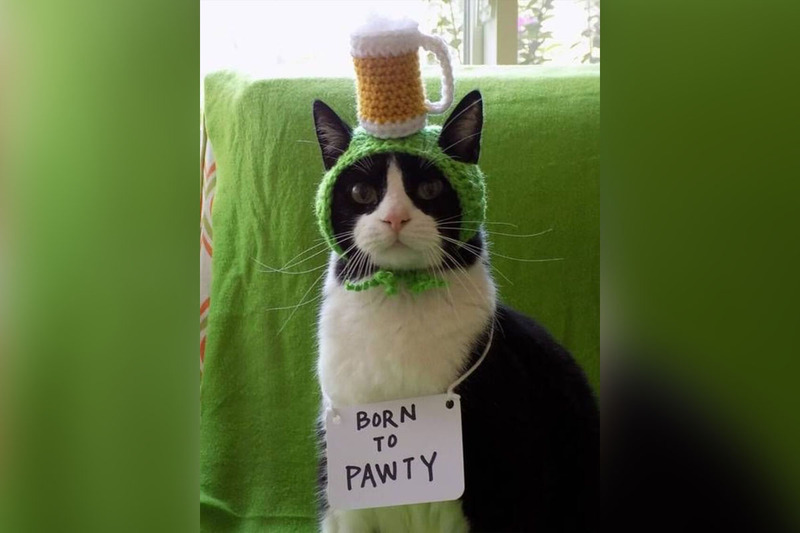 Her only requirement is that she gets to “pawty.” Get it? Now, if only that drink on her head was real. Soon enough, ole gal, you’ll get your drink. The party is starting any minute. She was born for it, too. Just remember, the nights not over until she says it is over. Our next animal is really proving her worth on the farm! Call this cow whatever you want, just don’t call her boring. 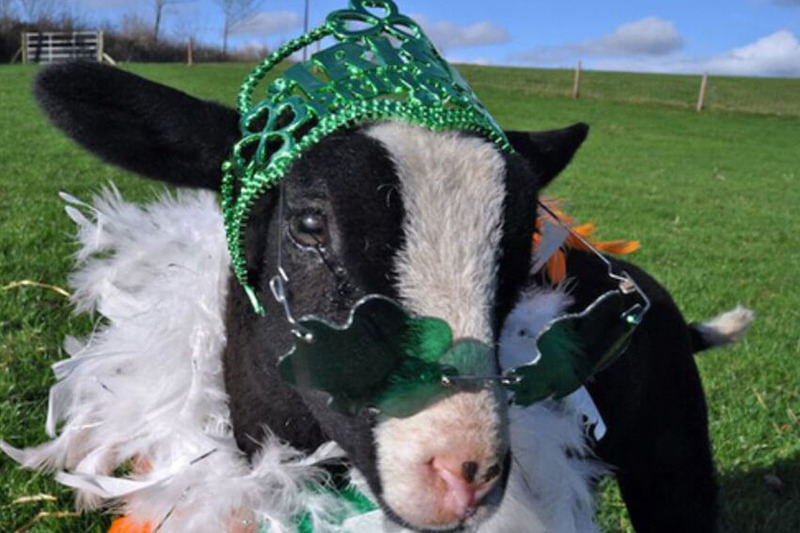 It’s St. Patrick’s day and she’s ready to show off all her best moo-ves. When she hits the parade route the party can finally begin. From her outfit, it’s clear this is the only day of the year that matters. Every other day is just another boring stroll in her field, eating grass and waiting impatiently for St. Patrick’s Day to come back around. This horse is not like every other horse. 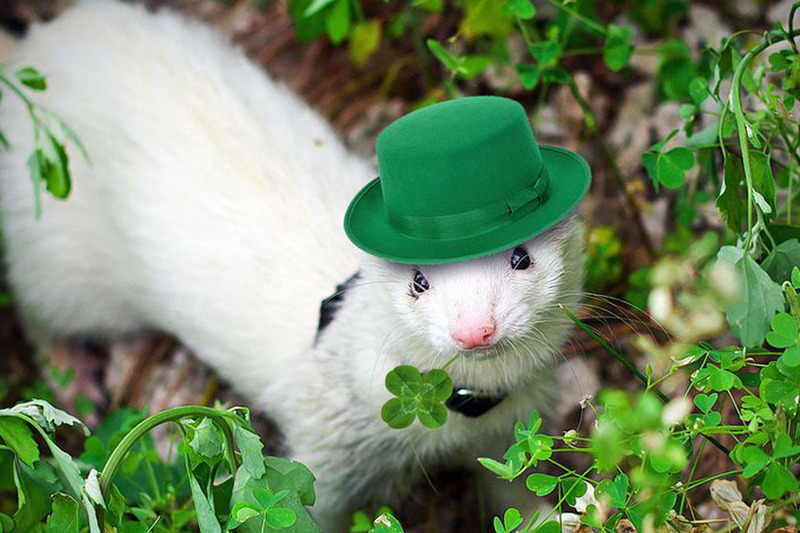 He’s a got a wee bit ‘o Irish in him, and a whole lot of pride about it. Just don’t ask him where his gold is. He’s not a leprechaun. 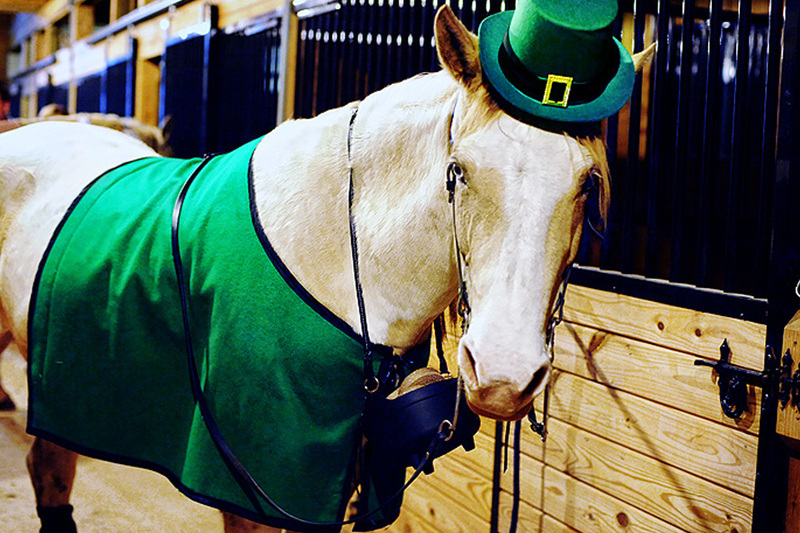 While we can’t confirm it, we imagine this horse is part of a holiday parade. Perhaps he’ll be leading a carriage with highly important people inside. The mystery is just too much to handle! We need to know! 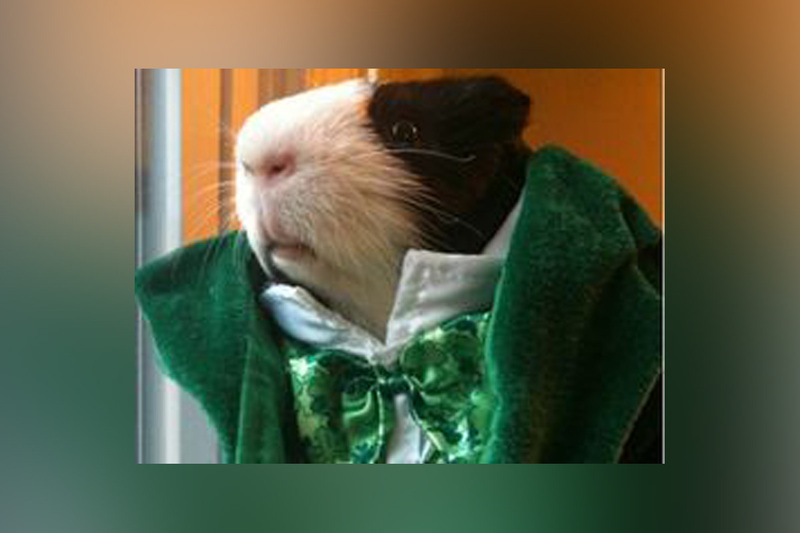 This might be the most dapper guinea pig of all-time. 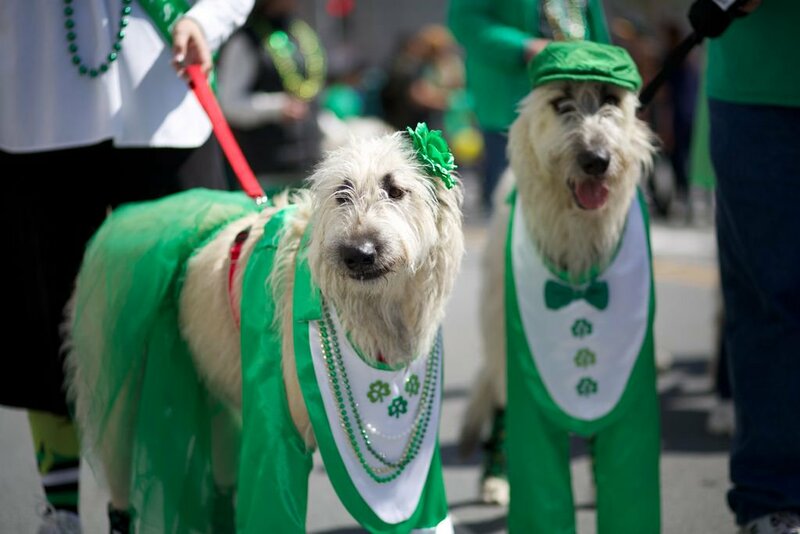 He’s not just going to a parade or a simple party; he’s going the flashiest St. Patrick’s Day ball his fine city has to offer. When the doors open and his name is announced, he’ll have everyone’s attention. They’ll stare in awe at his luxurious green overcoat and perfectly tied bowtie. And then, with the whole room watching, he’ll making his way to the veggie platter and load up for the night ahead. This is the happiest dog we’ve seen on this list so far. He’s not just a good boy, he’s the best boy. His yellow and golden fur perfectly contrast his oversized green bowtie. Have you ever seen an animal so happy to be dressed up for a holiday? Unlike some other St. Patrick’s Day parades, the weather looks pretty great for this one, too. It’s literally all sunshine and roses wherever this pup is living! Coming up, some pets just need to sleep! This good boy only likes getting wet if the water is green. He loves St. Patrick’s day so much, he flat out refuses to take a bath any other day of the year. 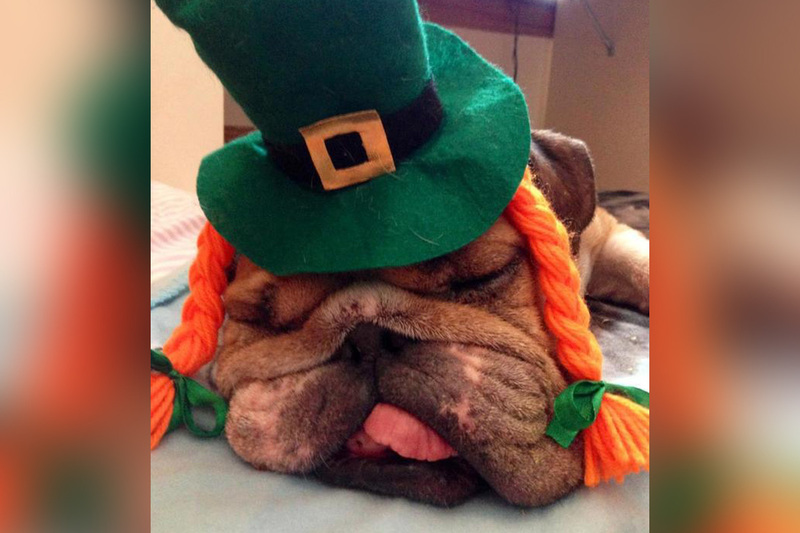 After a long day of celebrating St. Patrick’s Day, there is nothing better than a nap. 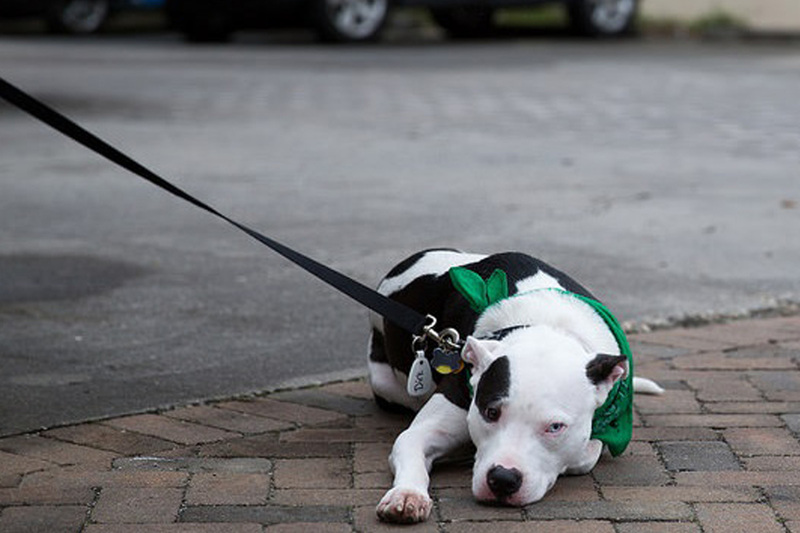 This pooped pooch isn’t waiting until she gets home to give up walking. It’s her world, and we’re just living in it. We wonder what this amazing pup is going to dream out. Possibly running through fields of four-leaf clovers while chasing leprechauns away from their gold? This pupper needs to her bed, stat! This festive dog doesn’t look too sure about the wig it’s being forced to wear. 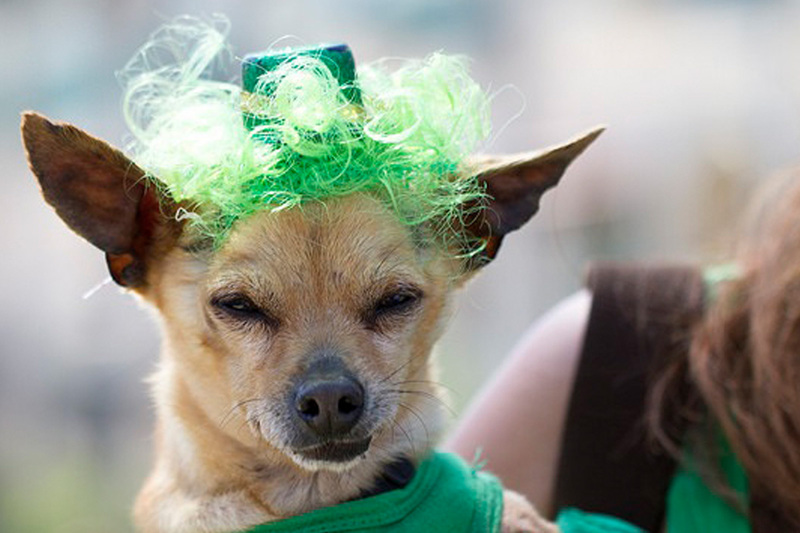 Sure, it loves St. Patrick’s Day, but does it love it enough to wear this hair all day? Look at that squint; it’s the squint of contempt. Hopefully, there’s some corned beef being “dropped” on the floor later as payment. Surprisingly, this is the first animal on this list wearing a green wig! We thought they’d be more common. What a looker! Although this isn’t the typical shade of green you’d usually see on St. Patrick’s Day, it might be the best. Neon is in, and this beautiful babe is taking the trend to new heights. 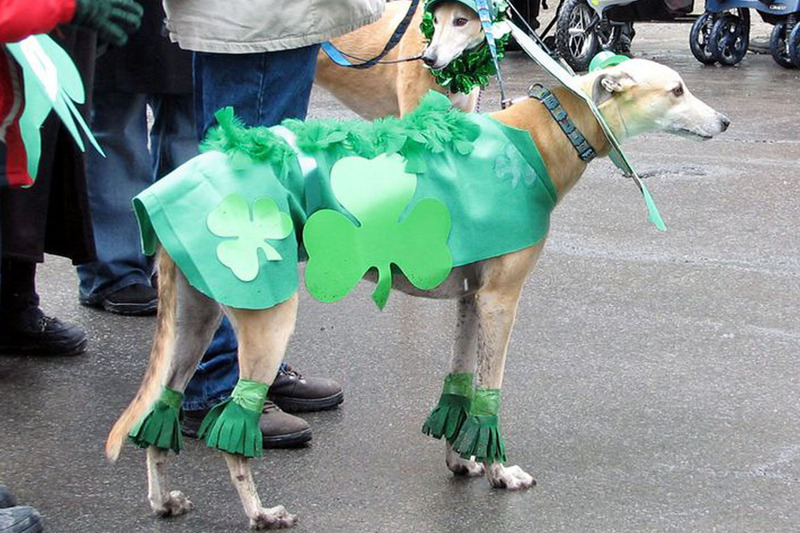 You might think this pup looks embarrassed, but all we see is pride. She’s sitting as tall as she can for her breed, letting you gaze at her love for the holiday in awe. We’re in love. This cat is seriously contemplating life right now after a few too many brews. Sleep is coming soon enough, but until then, it can only wonder if that last text was really the right one to send. This is the big lesson of St. Patrick’s Day. Be smart and take everything in moderation. Otherwise, you’ll end up like this kitty, unable to finish that last beer because the weight of its decisions is too heavy on its shoulders. Not all cats are able to hold a pose as perfectly as this one. He’s proud of his bowtie and top hat, and loves that you want to take a picture of him so the memory will last forever. All that is left to do now is frame this beautiful beast. 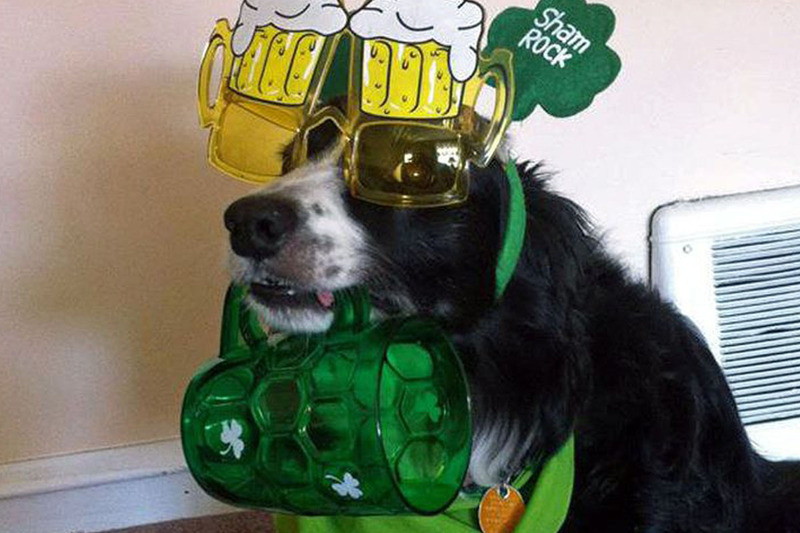 No picture would look better over your mantle than your favorite pet showing his love for St. Patrick’s Day. This hat is not the right size for this dalmatian. He just wanted to show off how much he loves the holiday. Unfortunately, he doesn’t love it that much. He needs a new hat as fast as possible! We’re guessing he refuses to leave the house until he gets a hat that fits better, too. If he’s going to look absolutely ridiculous, he is going to do it on his own terms. The couple that celebrates St. Patrick’s Day together stays together. We’re sure there’s a study that claims the same thing. Until then, you’ll just have to trust the Mr. and Mrs. in the picture as all the proof you need. They came out together dressed to the nines, decked out in green. She’s even got a green flower in her hair. They may be older, but when this day comes around, they feel young again, and now so do we. Goodnight, sweet world. You can tell looking at this dog’s face he knows how to party. And on St. Patrick’s day, he shows the world just how long he parties. He’s an all or nothing pup; all go then a complete stop. Here he is, asleep after the festivities. He’ll probably be asleep for a few days, too. Don’t worry, though, once he’s up, he’ll be back to his old self, full of party tricks.